When I explain to people that I travel long-term, most tend to assume that that means I am a perpetual tourist and don’t do anything other than visit local attractions. Unfortunately, that isn’t really the case. Though I would consider myself a traveler, I probably spend more time working on the computer and using my phone and other devices. That translates to lots of gadgets needing to be charged. As you may have noticed in many airports and hotel rooms, there barely are any outlets for you to recharge. If you’re lucky enough to find one outlet, you’ll only be able to charge one of your many devices. This led to me buying the Belkin Travel Charger / Surge Protector on Amazon.com. This travel charger is like a power strip, except without the messy cords and in a more compact form. 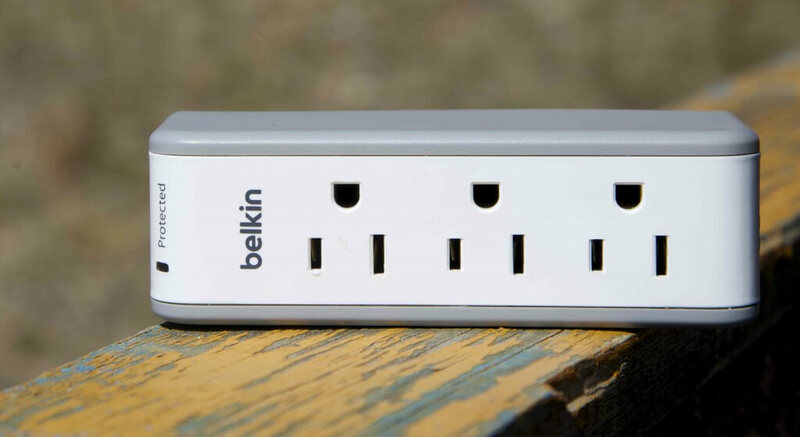 The Belkin Travel Charger allows for up to 5 different devices to be charged at the same time, 3 with the AC outlets and 2 devices with the USB ports. The charger also protects your electronics from surges. 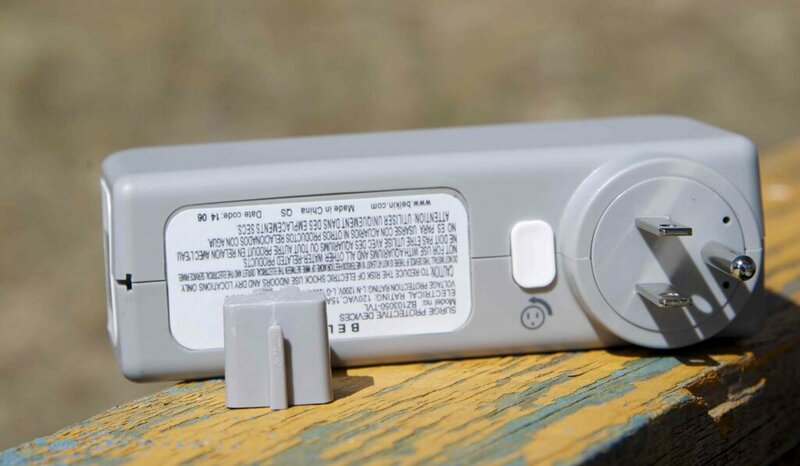 When or if you buy this product, don’t throw out the included prong cover, because it doubles as a stabilizer for the charger. Though I don’t use it often, the prong cover can be attached to the bottom of the charger to provide extra support for the charger. The word ‘compact’ is somewhat subjective, so to give you an idea of the size, the charger is about as tall as an iPhone 5s and can easily fit in my hand. I’ve also weighed the charger to be roughly 0.4 pounds. One of my favorite parts about this charger is that there aren’t any extra cords which I’d need to untangle and deal with. Also, the Belkin Travel Charger’s plug can rotate which is helpful when needing to fit the charger into tight spaces. Adapters, strip cords and other electronics like the Belkin 3-Outlet Mini Travel Charger tend to not always be the most reliable. So far, I’ve been impressed with the reliability of the Belkin whether I was using it in America or abroad. It’s been going strong for more than 2 months and I’ll update this post if I ever come across issues with the charger. Contrary to what some reviewers have stated on Amazon.com, the Belkin 3-Outlet Mini Travel Charger works incredibly well for international travel. In fact, I’ve used it primarily while overseas without any issues. 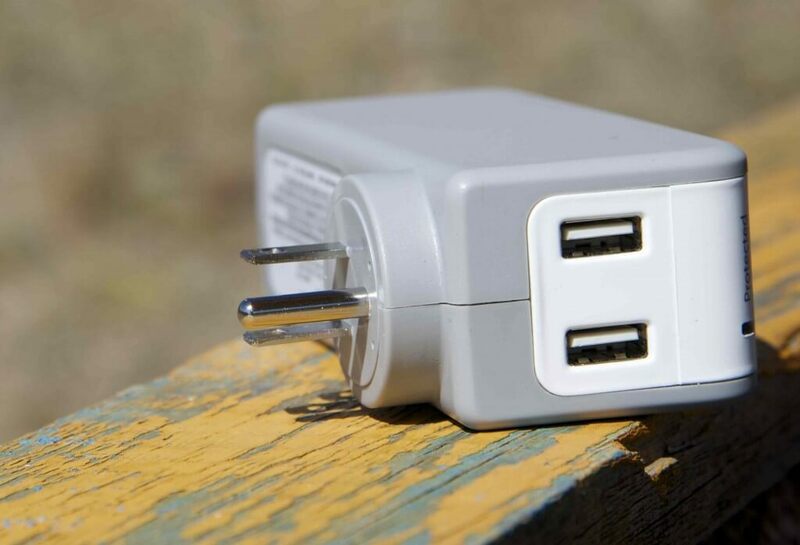 This travel charger is neither an adapter nor a voltage converter, but can be extremely useful when paired with a converter or adapter. By using this charger, I only needed to purchase one adapter to charge multiple electronics. Read more about the difference between adapters and voltage converters here. The amount of power emitted from the two USB outlets is pretty small (1 AMP / 5 Watt each), which causes some problems. From my own experience, iPad 2s are not able to be charged using the USB outlet. I would assume that that means all iPads won’t be able to be charged using the USB since the newer generation iPads require even more power to be charged than the older iPad 2 does. I have not tried charging other branded tablets with USB outlet, so I’m not sure if they would charge. This hasn’t been a major issue for me since I could just charge the iPad with the AC outlet and charge my lower power consumption items (such as my iPhone or external battery) with the USB ports. The low power emission from the USB ports also makes some smartphones and other devices charge slower than they usually would if you were to use their included wall charger. I’ve read several contradictory reviews on Amazon.com for this product, and according to one person, the Belkin Travel Charger wasn’t able to charge two devices at the same time with the two USB ports. However, when I tested this, everything worked fine. I was able to plug one iPhone 5s into one USB port and one iPhone 4s in the other port and charge both of them at the same time. 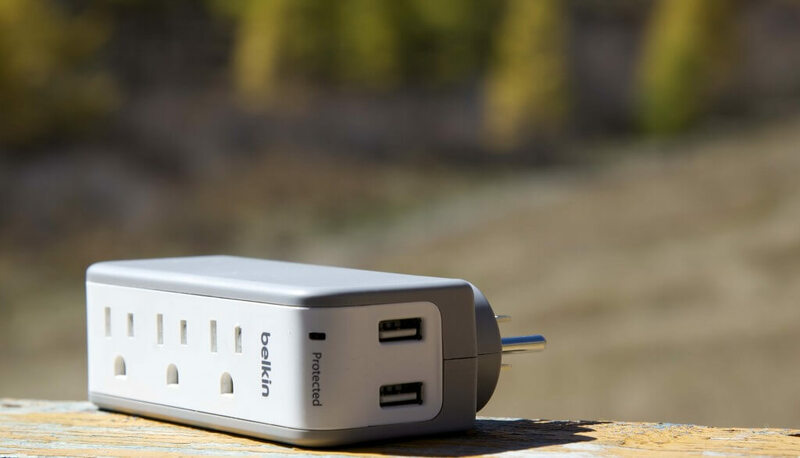 Since I travel with several electronic devices, the Belkin 3-Outlet Mini Travel Charger has quickly become one of my most important items in my travel backpack. 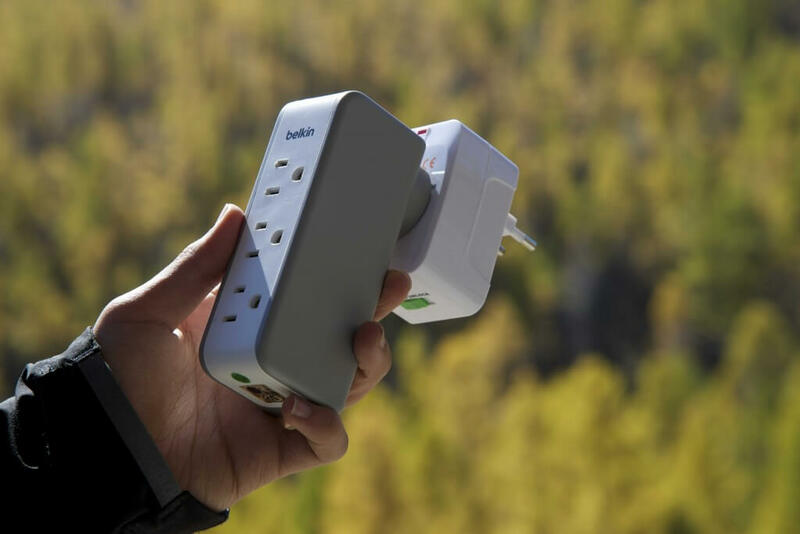 The Belkin allows for me to use only one travel adapter to charge multiple devices and to easily charge all of my electronics with one outlet in one compact package. The only main downsides to this charger are that iPads cannot be charged with the USB ports and that the USB ports are slow to charge. Overall, I’d still highly recommend this to anyone, especially travelers, who owns several electronics and don’t have enough outlets. The Belkin travel charger costs retail $21, however it can be found on Amazon.com for around $16. Do you have any questions or comments about this product? Leave your comment below.